NASHVILLE, TN — Jonquil Child by singer-songwriter Tiffany Huggins Grant marks the arrival of a bright new talent on the Americana music scene. The 12-song album boasts 10 original numbers that bring her honey-and-crystal voice and her songwriting to the fore, reveling in her gift for melody and in her creative vision. Grant’s songs perfectly balance the sweet and the bitter. Her arrangements reflect the signatures of great American roots music in their tremolo guitars, pedal steel, soul-fueled keyboards and perfectly measured rhythms, while also incorporating apt-but-unanticipated strokes of classic rock and psychedelia in soulful and spirited tunes like “If You Only Knew” and “Fighter.” And Grant’s writing draws unsparingly on her experiences combatting alcoholism and depression — even while celebrating the triumph over both that Jonquil Child represents. Jonquil Child inspires similar faith in listeners. The poignant country heart-searcher “When It Rains” pulls emotional strings as Grant gracefully sings about the self-pity, guilt and loss that are part of alcohol addiction over John Heinrich’s weeping steel guitar. And Pamela Jackson’s “One Too Many,” one of just two tunes on Jonquil Child written by others, provides another round of whiskey-stained regret blended with classic honky tonk. The twine of Heinrich’s chiming steel and Robinson’s evocative six-string on “Out My Window” perfectly frame Grant’s portrait of the isolation of depression. Nonetheless, the dark-themed number ascends into light on a vibrant chorus as lovely as the blossoms that helped inspire the album’s title composition. Overall, there’s real sunshine in these tracks, and in Grant’s arc of recovery and self-discovery. The song “Jonquil Child” uses Grant’s buoyant melodies and Robinson’s ringing, joyful electric guitar to spin the tale of her departure from childhood in Smyrna, Georgia — dubbed the “Jonquil City” for its abundance of the yellow blossoms — and her arrival in the very adult world of the Nashville singer-songwriter community. The achingly romantic “Love Letters,” where Grant’s voice and Heinrich’s steel essay the depths of human devotion, was inspired by the discovery of a ream of saved missives among her grandparents’ effects. And “Ain’t Nobody Leaves” stirs the passion of the great recordings that emerged from the Stax and Muscle Shoals studios, celebrating the ballad style of one of Grant’s important influences, soul giant Otis Redding. Growing up outside Atlanta, Grant was exposed to the classic rock, soul, R&B and country her parents listened to, and early on she became fascinated by the sound of guitar. She was 12 when she got her first instrument, and began picking out chords and figuring how they came together to create songs. After her parents divorced, her mother remarried to a physically and mentally abusive man. “It was a volatile situation,” Grant recounts. “That’s when I started writing songs. It was a way to take myself to another place. I’d lock myself in the basement, and write and sing all night. At one point my mom came down the stairs and said, ‘Hey, those sound like good songs.’ She encouraged me, so I started entering songwriting competitions. At 16, Grant became a finalist in the Georgia Music Industry Association’s songwriting competition, which put her before an audience for the first time. By the time she turned 17 she’d attended the prestigious NashCamp songwriting program and made the first of her many appearances at Nashville’s songwriters’ Mecca, the Bluebird Café. It was inevitable that Grant would move to Nashville, but it took her a few years in Music City to gain her momentum. Today her stage resume includes opening shows for such respected artists as Tommy Womack and Americana hit-makers Shovels & Rope. For every aspirant that comes to this Guitar Town believing they have what it takes to write memorable songs and maybe even become a Big Singing Star, there comes a moment, at some late night guitar pull, or a Tuesday night open-mic at a pizza joint, in somebody’s basement studio, or onstage in a 500-head capacity hall, when the artist has to just step up and Prove It. Do it successfully, and you get a chance to prove it again tomorrow night. Fail, and you might want to think about loading the old wagon and heading back for home sweet home. I’ve seen Tiffany Huggins Grant plying her musical trade in all kinds of settings these last couple of years—and brother, she delivers the proof. Every time. All one needs to do is listen to this incredible vocal instrument that Tiffany has developed through her young life—a life with some spice that you can hear in every tone, every riff, every glorious coloratura arc—sweet Soul groovin’ low and sad Country songs sung so sweet—her versatility can’t be boxed in by one style. Her songwriting is an equitable and eclectic weapon as well. She wrote 10 of these 12 tracks, and friend, this Jonquil Child record ain’t no kid-stuff; no tailgates-and-tank-tops kind of fare here. Her songs are her art and life. They are much like her: fearless, intelligent, world-wise—complex yet possessing the Common Touch. Tiffany Huggins Grant is the rare Real Deal. Just listen. Songwriting performers move to Nashville every day. The best proceed to pour their heart and soul into writing and singing, listening and learning … and finally, if they're determined enough and fortunate enough, creating and recording music that conveys that heart and soul. Tiffany Huggins Grant has accomplished that elusive task on Jonquil Child. The first thing that grabs you of course is her voice. But it won't be long before the words and melodies she's chosen rise to meet her powerful instrument and complement it in those rich and satisfying ways that only a singer/songwriter can. Whether Grant's music requires Muscle Shoals soul for “Ain’t Nobody Leaves” or the quiet of a Nashville country ballad on “Love Letters,” Mark Robinson's gracious production is there to meet it without ever overpowering the singer or the song. Including two songs by masterful songwriters like Pamela Jackson and Walt Wilkins raises the bar for the songwriting on the entire album—but they also exhibit Grant's level of empathetic song interpretation while revealing the maturity of her own songwriting. A brave choice. 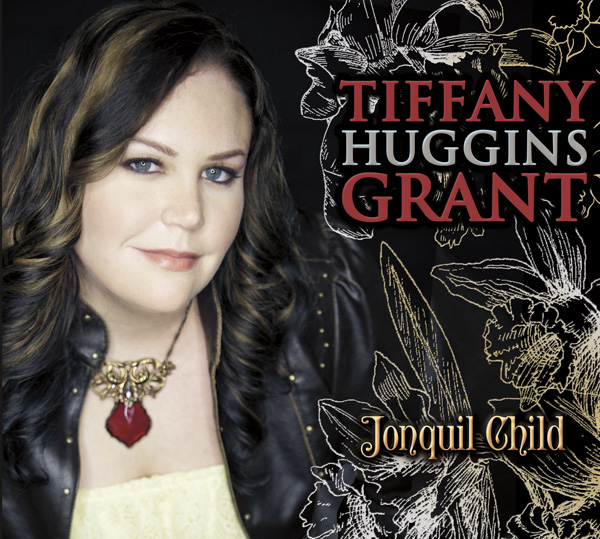 While it is only her first national release, Jonquil Child will help establish Tiffany Huggins Grant as a Nashville voice, a compelling singing voice, and substantial songwriting voice. Tiffany Huggins Grant has one of the most amazing voices I’ve ever heard. Her quality and range are really impressive, as is her control—but it’s her expression and emotion that had me hooked the first time I heard her sing. You just know when someone really has “it”—that connection of an artist to their material that is rare and treasured, especially here in Nashville. I’ve seen a room full of jaded Music Row writers stop everything and go dead silent when they hear her sing. Tiffany has a powerful gift, and I couldn’t wait to work with her in the studio. Then I heard the songs she was writing for her next project, and I knew we could make not just a good album, but a great album. Tiffany’s songs are real and true, from her life and her soul. I’m proud to be a part of Jonquil Child. It’s just the start of what Tiffany Huggins Grant will be able to do as a singer and as an artist—she’s headed for the bright lights now.